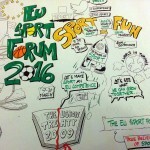 The ‘Support the Implementation of Good Governance in Sport’ (SIGGS) Project of the EOC EU Office has officially been selected by the European Commission as a “success story”. 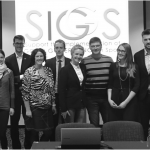 The SIGGS Project ran from January 2015 until December 2016 and was officially supported by the Erasmus+ Sport Programme of the European Union. EOSE was an official partner of the project. Following this selection, the SIGGS Project will be marked as “success story” in the ‘Erasmus+ Project Results Platform’ of the European Commission. 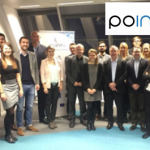 This platform gathers all project results of Erasmus+ Projects in one comprehensive database. Despite the fact that with the adoption of the final report of SIGGS all formal procedures have been finalised, the SIGGS Project still continues. First of all, the good governance self-evaluation tool for NOCs and national sport federations remains online. Secondly, activities are still taking place, including for instance a Workshop on good governance organised by the European Volleyball Confederation (CEV) for national volleyball federations on 1 September during the CEV Congress.